Vacations are one of the best times in our lives. All of us want something relaxing and soothing to take a break from the daily hustle-bustle of our lives. These days, people are delving into discovering new countries to find an escape from their daily lives. A vacation in luxury homes in France may become one of the best things of your life. Think about the wines and the cheese that you may experience during the journey. France definitely tops the list when it comes to spending exotic vacations. The picture perfect place has remained an important part of the world for a long time. With the improvement in travel and tourism, everyone has the chance of visiting France. So, let us know about it a little more in-depth. France is a country that is situated on the Western side of Europe. Paris is the capital of the country. France has a rich history and it has been inhabited even before the Iron Age. It has a history of being a prominent country of Renaissance. One of the most interesting and talked about thing of the country is its French Revolution. Now, France is one of the leading countries in this world. It is a hub of art, culture, literature, fashion and many more things. About 83 million international visitors are seen in France every year. France is also a permanent member of the UN. The main religion of the country is Christianity. Some of its notable cities are Lyon, Bordeaux, Nice, and Marseilles. A tourist definitely has a lot of options to explore when it comes to France. We have gathered a few of them here to give you a better insight of France. • Paris: Paris is the capital of France and it has the best things that you may discover. The city has been made in the most beautiful way possible. The Eiffel Tower definitely tops the list, but you have to visit other places like the Notre Dame Cathedral, Musee du Louvre, and Luxembourg Gardens. These historic places are important for knowing the country as a whole. You can also spend a midnight in Paris just like they portray in the films. There are several good restaurants and cafes by the Seine to enjoy good food and amazing views. • Provence: This is an area that even Shakespeare was fascinated with. It was denoted as the place of merrymaking and sunshine. You will definitely experience it when you visit France. The main area of Provence is south-eastern France. The presence of the Mediterranean Sea gives the place its unique climate. The biggest city of the area is Marseilles. Its Vieux Port area gives you a nice place to roam around. Other places to visit can be the Saint-Remy-de-Provence to see Roman ruins. Les Baux is a standing stone village which will many tourists. Cassis is also a nice place to visit and bask in its sunny beaches. 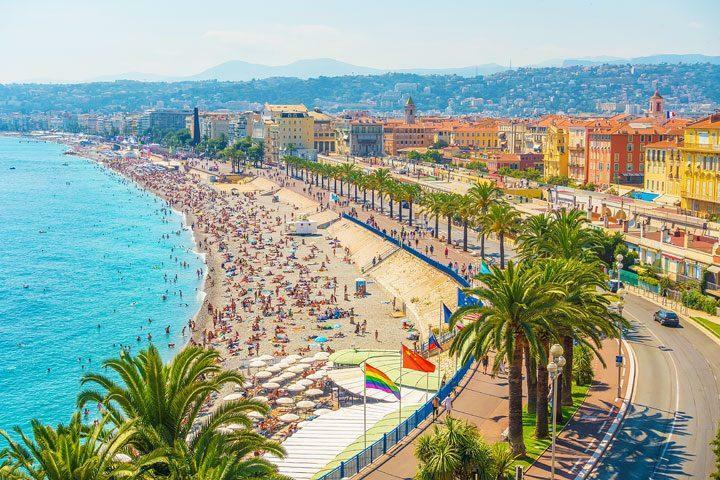 • Nice: This is another notable city in France. Its main pulling point is its setting by the French Riviera. You can easily spend a lot of time sunbathing or roaming around in the city. The city is filled with the best of old and new. The old time is a keepsake of old memories and you will be amazed at its roads. The St. Nicholas Russian Orthodox Cathedral stands out for its beautiful candy coloured domes. You can also experience the culture of the city in the numerous restaurants and hubs. • Bordeaux: We may guess that many of you like to have a nice glass of wine. In Bordeaux, you are in the capital of winemaking. The city has had a facelift in the recent years, but they have definitely kept its old charm alive. Dining in the city is amazing because of the presence of several cafes and eateries. In Bordeaux, you need to visit the wine museum which is the largest in the world. Pont-de-Pierre Bridge has been made in a way that you can easily have a stroll by the sleepy Garonne River. • Strasbourg: If you want to visit a homely place in France, Strasbourg is the place to go. The heritage architecture of the city will definitely leave you awe-struck. The Strasbourg Cathedral is the main attraction of the city. The La Petite area of the city is the place that people photograph the most. The streets are lined with cobblestone and the buildings are quite old. Barrage Vauban is another thing that you need to see in the city. The architecture masterpiece stands on the Ille River and was made in the 1600s. So, definitely give Strasbourg a try in your visit to France. 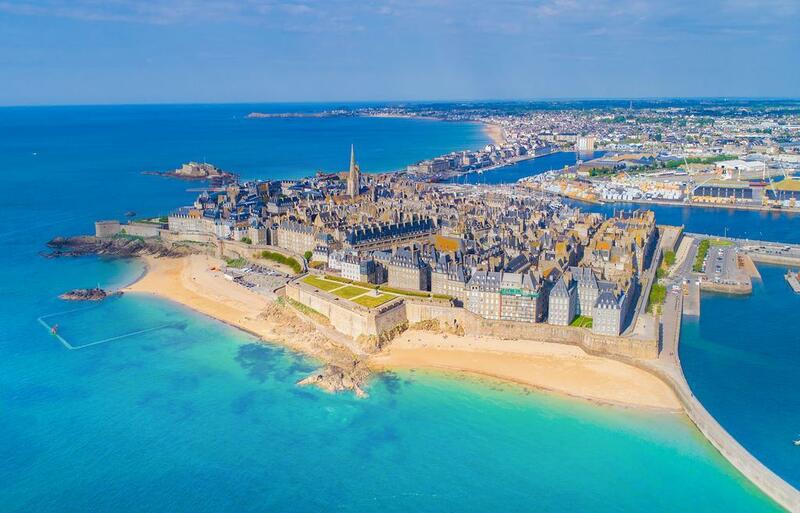 • Saint-Malo: If you want to see something exquisitely beautiful, you need to visit Saint-Malo. It is a walled port city present in Brittany. You can definitely have a tour of the walls built around the city. The Old town has cobblestone streets which look very beautiful. Grand Aquarium is another must visit the place. So, here is some of the information regarding France and also some of its places that you must discover. Never forget to get in touch with the local culture and it is the best thing that you can do to know more about this beautiful country. France is a country brimming with history and life, so enjoy it to the fullest. Discover amazing ways to make your vacation worth reminiscing, read my travel blog to gather great ideas. 10 MYSTERIOUSLY SCARY places in the world that will give you creeps!